Russian President Vladimir Putin secured a landslide election victory on Sunday, keeping him in power for six more years, until 2024. Some Christian voices, such as Russell Moore, president of the Ethics & Religious Liberty Commission of the Southern Baptist Convention, have warned that the victory is "bad news" for evangelicals, however. "It's very important to maintain this unity," Putin told a crowd near Moscow's Red Square. "We will think about the future of our great Motherland," he added. Putin continued: "I see this as a sign of trust and hope, the hope of our people that we will work as hard, with the same responsibility and effectiveness as before. Thank you for being such a powerful, millions-strong team. We will definitely succeed." Still, he shot down speculation that he would seek to run for president again after he completes his forth term, responding to a question: "It's ridiculous. Do you think I will sit here until I turn 100?" "The #FakeRussianElections 'victory' of the Putin regime is more bad news for Russian orphans, Russian evangelical Christians, Russian people who want to live free of KGB-style authoritarianism." Some, such as CIA whistleblower Edward Snowden, shared a video on Twitter allegedly showing ballot stuffing in Moscow, urging Russians to "demand justice; demand laws and courts that matter." "It's easy to get 73 percent of the vote when you bar your 'opponents' from running. After extolling life tenure for China's Xi, will our President now congratulate Putin on his successful elimination of democratic opposition?" At press time, President Donald Trump had not responded to Putin's victory. On Sunday and Monday, he condemned, in a series of tweets, the investigation into Russian meddling in the 2016 U.S. election, including alleged collusion with the Trump campaign, by special counsel Robert Mueller. Schiff was also referring to the fact that Putin's biggest political opponent, Alexei Navalny, was barred from the race. "This new situation resembles the Soviet Union in 1929. At that time confession of faith was permitted only in church," Hannu Haukka, president of Great Commission Media Ministries, said in an interview with The Christian Post in July 2016. "Practically speaking, we are back in the same situation. These anti-terrorist laws are some of the most restrictive laws in post-Soviet history." In April 2017, Russia's Supreme Court also banned Jehovah's Witnesses, calling it an "extremist" organization in a move that stripped the group of all property. Helsinki Commission Chairman Sen. Roger Wicker condemned Putin's government at the time. 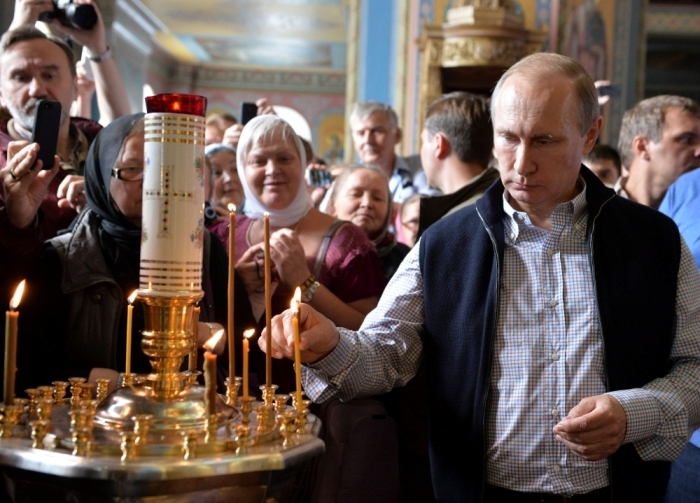 "Russia's failure to respect religious freedom is yet another inexcusable violation of Moscow's OSCE commitments. People who practice their faith peacefully should never be in danger of being harassed, fined, or jailed," Wicker said back then. "The court order to seize organization property owned by Jehovah's Witnesses adds insult to injury. I am hopeful that this case will be appealed to the European Court of Human Rights."